EarthTEC is pleased to be associated with the Master Builders Association Excellence in Construction Award, winning CSU School of Dentistry project. 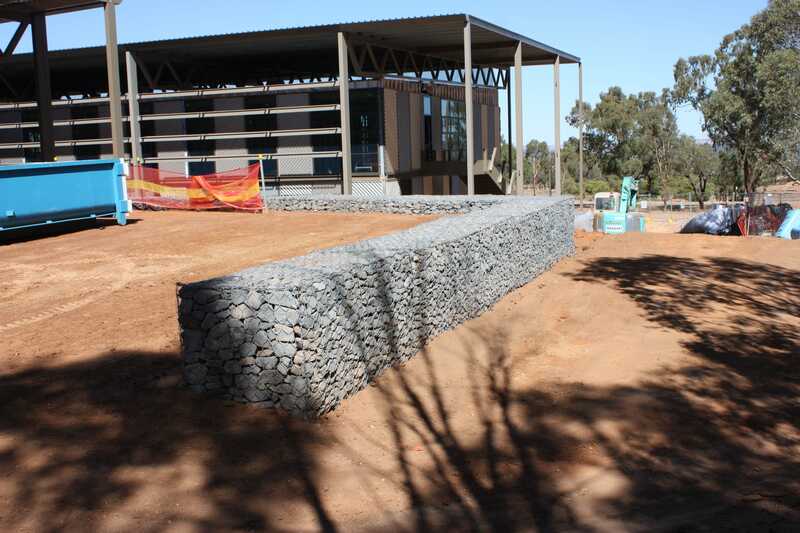 The architectural grade gabion work framing the central courtyard and other landscape areas is becoming a regular feature of landmark projects since EarthTEC introduced this concept using Maccaferri products at the Svarmisk Resort in Victoria. 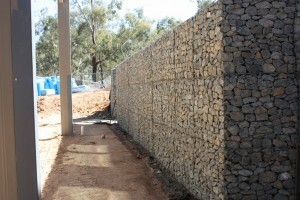 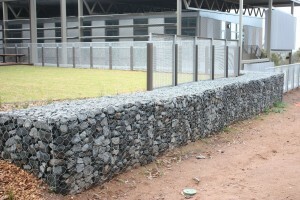 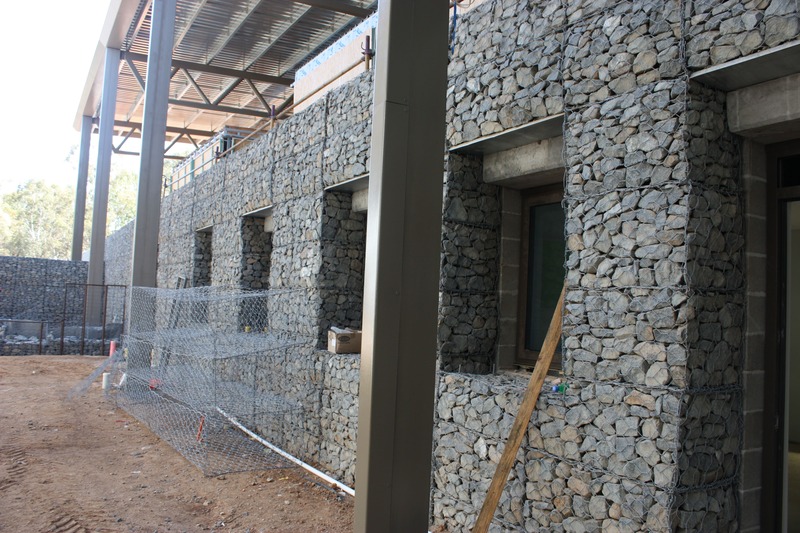 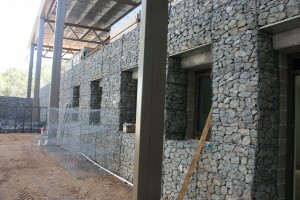 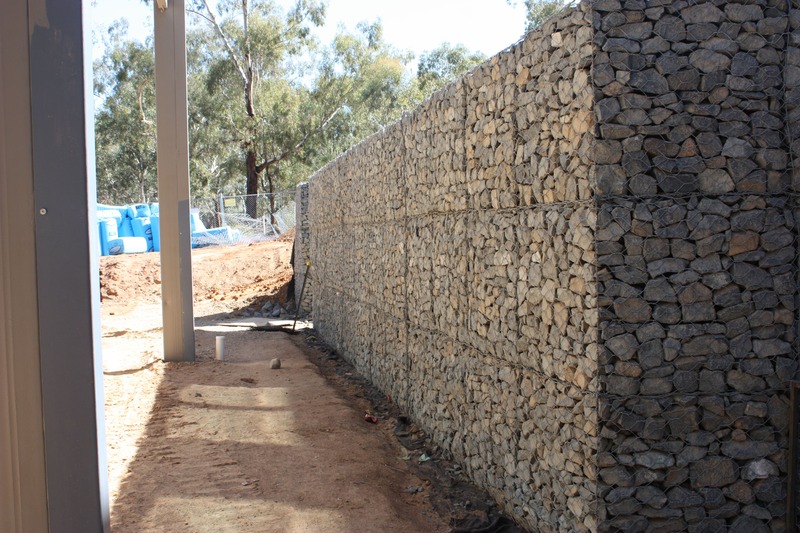 EarthTEC’s scope of work involved supply and installation of gabion walls, Terramesh walls, rein-forced earth, and architectural fa-cades totaling approximately 500 sqm. 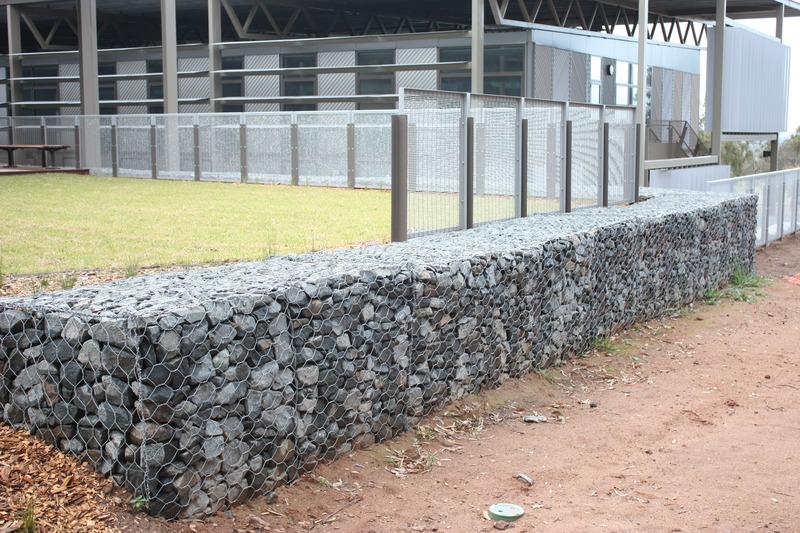 Working with the woven mesh cages provides additional durabil-ity via the Galmac and PVC-coating. 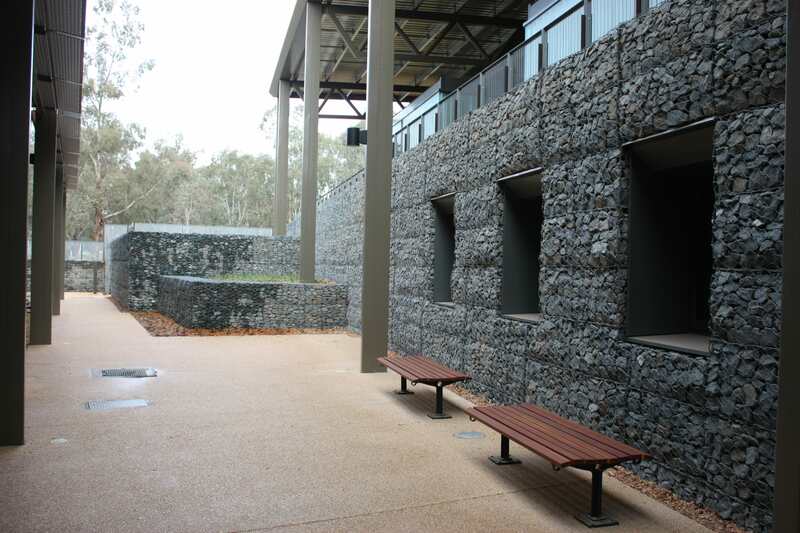 However, the flexible mesh does require a much higher level of care and skill to ensure the face tolerances are achieved. 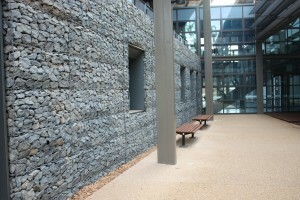 The completed works drew much praise from not only the client but also the Master Builders Association.